At Fresno Christian High School, students are encouraged to understand the world in the context of their faith. 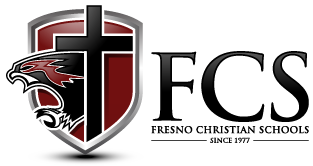 Over the course of their time at Fresno Christian they will study both the Old and New Testaments and complete Christian Living, a course that prepares them to give an answer for what they believe. Academic studies are approached through a biblical worldview. Athletic, musical, and dramatic endeavors are viewed as training ground for character development and integrity. Opportunities to serve are provided and modeled by Christ-following faculty and staff. Academic advisement and accountability, along the way, keep students on track to pursue their goals within and beyond the walls of Fresno Christian. We seek to equip these leaders of today to go out into the world as well rounded graduates, ready make a difference in the name of Jesus.